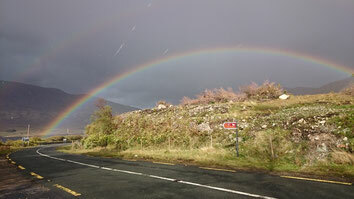 Explore the character of Connemara with it's quaint villages and stunning scenery. 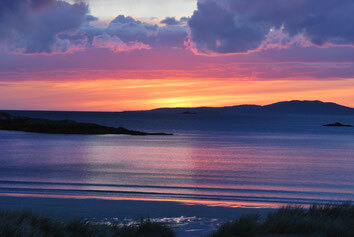 With your choice of accommodation of local hospitality staying in B&B's or Hotels. The guide will not only take you through the area but highlight the tour with attention to detail, local knowledge and recommendations on where to get the best meals adding to your experience to make it a bespoke tour to remember. 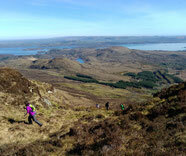 Explore the wilderness of the Connemara mountains taking in some of the classic mountain routes. Cycle at a relaxed pace through the rural villages along the quiet back roads and coastal routes with breathtaking panoramic scenery. We can make time for coffee stops and locally sourced seafood chowder lunches. There will be plenty to see and do along the way if interested; a visit to the beautiful victorian Kylemore Abbey and a boat trip aboard the Killary Cruise on Ireland's only fjord. 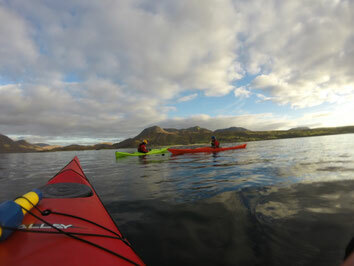 Sea kayak along the Connemara coast with it's stunning beaches, numerous islands and quaint fishing villages. Take your pick and mix it up. Choose your multi activity tour combining Hiking, Cycling and Kayaking.